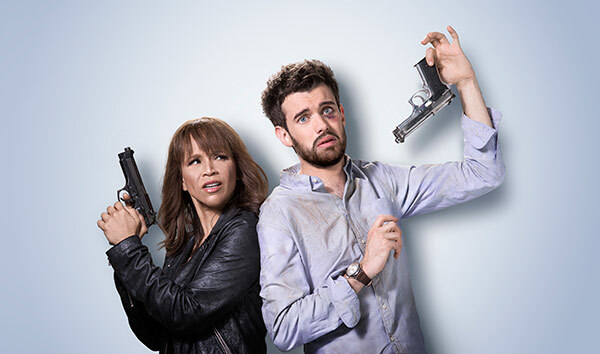 The hilarious new Sky One comedy Bounty Hunters, starring Jack Whitehall, hits screens on Wednesday, October 25th at 10pm. Bounty Hunters is the story of Cambridge PHD student Barnaby Walker (Whitehall), whose fortunes take an unlikely turn after he loses the family antique business and is forced to recruit professional bounty hunter Nina Morales (Rosie Perez) to return his money. Unbeknownst to Barnaby, Morales is wanted by a Mexican drug cartel and may cause more problems than she solves. An adventure awaits – involving high tensions, cartel members and international terrorists. To whet our appetites for the brilliant new series, we’ve taken a look at some of the other top-notch actors who started their careers in comedy – just like Jack. Whitehall, the star of new Sky sitcom Bounty Hunters began performing stand-up comedy at the Edinburgh Festival Fringe in 2007. He won the Amused Moose Laugh Off, Charlie Harthill Special Reserve and was a finalist So You Think You’re Funny? in that same year. In 2009 he brought his first solo stand-up show, Nearly Rebellious, to Fringe and achieved a nomination for Best Newcomer at the Edinburgh Comedy Awards. Whitehall made his acting debut in Channel 4’s Fresh Meat, where he portrayed public schoolboy JP for four seasons from 2011. He’s since starred in the self-penned Bad Education and BBC One Drama Decline and Fall. Davies’ career began performing stand-up comedy in 1988 at the Whitstable Labour Club. He was awarded Time Out’s Best Young Comic in 1991 and won the Edinburgh Festival Critics Award for Comedy in 1994. In 1997, he began playing the titular role in Jonathan Creek as a stage magician who solved crimes. The series won the Best Drama Series BAFTA in 1998. Lucas began his career in stand-up comedy ages 18 on the London stand-up circuit, where he performed as the character Sir Bernard Chumley. He was soon spotted by Bob Mortimer and invited to appear on Reeves and Mortimer’s quiz show Shooting Stars in 1992. However, it was with the award-winning sketch show Little Britain that Lucas is most well-known. After appearing in a number of comedy and sketch shows, Lucas took his first role in a television drama in 2005, where he played a Venetian duke in Casanova. Most recently, he took the role of Nardole in the tenth series of Doctor Who. Dawn French began her comedy career at The Comic Strip in 1980 with fellow comedienne Jennifer Saunders, after the pair met at The Central School of Speech and Drama in London. By 1987 the duo had their own comedy sketch show French and Saunders, which ran for seven seasons and achieved critical acclaim. As an actor, French is best known for her performance as unconventional vicar Geraldine Granger in the Victor of Dibley, for which she received four BAFTA TV Award nominations. More recently, she has starred in Sky One infidelity drama Delicious. The series was renewed for a second season earlier this year. Bill Bailey’s comedy career began in 1984 when he formed a musical double-act called The Rubber Bishops with Toby Longworth. 1995 he was nominated for the Perrier Award at the Edinburgh Fringe for his solo show Cosmic Jam, which was later recorded at the Bloomsbury Theatre in London and broadcast on Channel 4 as Bill Bailey Live. In 1999, he won Best Live Stand-Up at the British Comedy Awards. Bailey’s first big acting role was as helpful bookshop assistant Manny Bianco in the double BAFTA Award-winning sitcom Black Books. He’s since made a number of acting appearances in shows such as Jonathan Creek, Skins and Doctor Who. 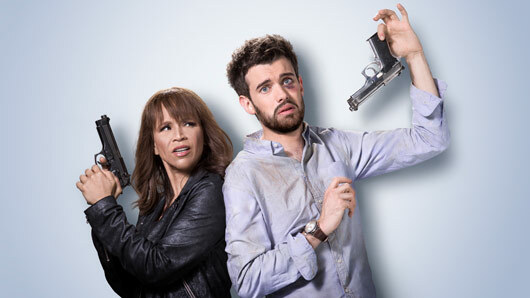 Bounty Hunters, starring Jack Whitehall, begins on Sky One on Wednesday, October 25 at 10pm.